We and our sweet Addy May had a wonderful first time experience with Marlene & Rachel’s Dog Vacay. They were so warm, welcoming, and excited to have her stay with them. Our dog received the very best care while she was at their Vacay. They went out of their way to make her visit very comfortable and as much like her home life and routine as possible. We were sent us oodles of pictures of Addy throughout her fun stay, which delighted us. We’ve already made reservations with Rachel and Marlene for Addy May’s next visit. My dog loves Maya’s, it is a God sent. It works great when we have to be away at church on Wednesdays. Shadow knows the staff and they do an outstanding job. These two women LOVE DOGS! I recommend them to anyone in need of dog care! We have now left our beloved dog with Marlene and Rachel about 6 times, and our trust of them, and appreciation for them, grows with each visit. Much of our travel is by air, and they are incredibly accommodating of late planes (allowing us to pick our dog up after what would be normal “business hours” at most boarding facilities, which allows us to get our dog home with us earlier), and early drop offs. They are kind, they send a video and at least a few pictures every day to lessen how much we miss our little guy, and they seem to treat him like their own. He acts like he is glad to go in their home when we take him there. I feel very lucky to have found Marlene and Rachel. This was the first time for Nemo and Jesse and I could not be happier. They got a walk, special outdoor time and attention from Rachel and Vivian. I got a video and pictures. What more could you want leaving your family (dogs) with someone who will love them like you do! 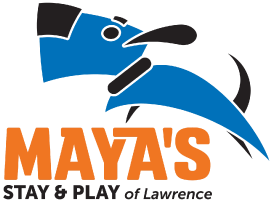 We will be going on an extended trip in May and I will not worry about them at all at Mayas Stay and Play. They will have a ball! There is no one better, we are very thankful for Rachel and Marlene. These ladies are wonderful, flexible with my work schedule, and all around great with my dog (Copper). Would recommend them to anyone. Copper looks forward to coming back next week. We used Maya’s for house sitting for our three dogs and they have never been so calm and well-adjusted acting after we’ve been away for a few days. Rachel provided amazing care for our babies and worked hard to make sure they were comfortable and had everything they needed and more! THANK YOU! We couldn’t have asked for a better experience. Marlene and Rachel treated Murphy as their own. They took him for walks, played with him and took him in the car (we had told them he loved that). They sent us pictures and videos at least once a day and then sent him home with a treat bag! We had such peace of mind knowing Murphy was with them. Marlene and Rachel are awesome! They took great care of my puppy, and she came back exhausted and happy! These two are clearly dog lovers, and I know my pup was spoiled rotten while she was there. The pictures and video updates helped calm my nerves while I was away, and their efforts to make my pup feel welcome did not go unnoticed. Will definitely be using their services again! Rachel & Marlene have been a God send to us. They are so flexible to work with as far as dates and times. Our dogs love them, which is so obvious in the many pictures we receive from them when we’re away. It’s a “treat” for us to receive pics each day to see how they’re doing. We love Rachel & Marlene as much as our “kids” do. Penny is in her happy place at Maya’s Place! She loves it there and gets plenty of exercise! Rachel and Marlene give exceptional care and they are extremely nice and flexible! We couldn’t be happier! Penny had a great time with Marlene and Rachel. They sent me a ton of photos and videos throughout the day, which I greatly appreciated! If we weren’t moving out of state in a week, we would definitely re-book again! Thank you so much for the wonderful time you showed Sasha and even more for not discriminating against Pit-mixes. It’s so nice to know I have somewhere safe to take her whenever I am away. I loved the updates and pictures as well! We will be back!! We brought our dog here for the first time for a long weekend, and were very pleased with the whole experience. They welcomed us and our dog for a visit a few days in advance, they were very accommodating to our pick-up and drop off (time) needs, and our dog seems to have done quite well in their care. We like that they have a big back yard for the pups to run, the home is well-maintained, and it just seemed like they knew what they were doing—a very professional operation. We have already booked for a second stay. This was our first time leaving our dog – ever. I was nervous because we had personal friends unable to keep their commitment for watching our dog over Christmas. Maya’s Play and Stay were highly recommended and so I contacted them – very last minute – and what a lovely experience! From the first contact to daily contacts to after pick up messages to follow up, it was a very reassuring and heartwarming experience. If I ever need services for our family again, they are at the top of my list! If my dog couldn’t be with us, they were the next best thing!! Our dogs had a terrific visit and we are delighted they are is good hands when they are staying with you. Our puppy Arlo loved his stay at Marlene and Rachels. We felt very comfortable leaving him at their home. He was excited to visit a second time and came home tired and well cared for. Thanks so much Marlene and Rachel! We also really appreciated the photos and videos of his stay!